Scale: Unknown. A model depicting a proposed double capstan for working ships pumps on the third rate 80 gun warship HMS 'Irresistible' (1859). 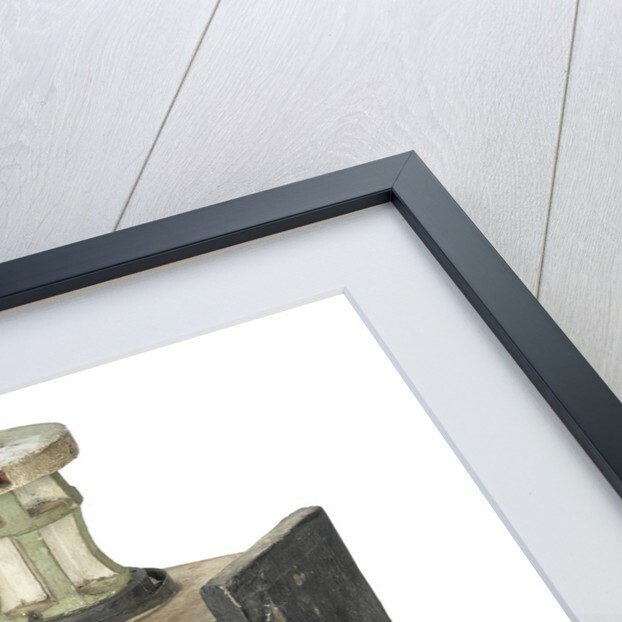 The model is made of wood with metal fittings. 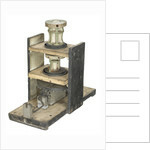 The capstans are shown on a stylised section of three decks, the uppermost capstan on the upper deck, the lower capstan, on the deck below, and the mechanism for turning them, directly underneath on the lowest deck which is also the base of the model. 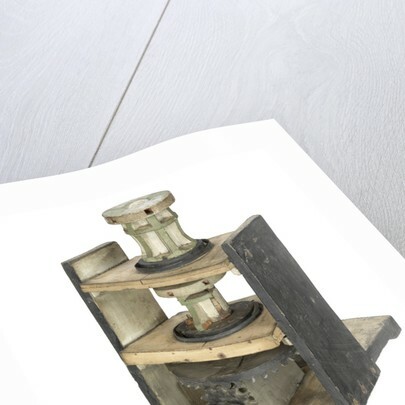 The large horizontal cog-wheel and the two small vertical cog-wheels that comprise the turning mechanism are made of wood and painted black. 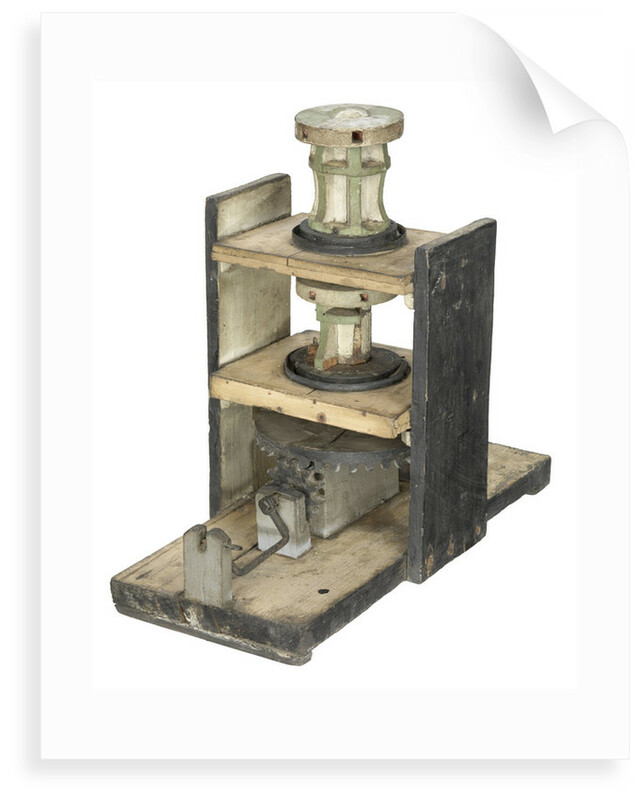 They are set in motion by a metal winding handle supported on a pair of wooden chocks. The two sides of the model that support the decks are painted black on their exterior faces with white inboards. 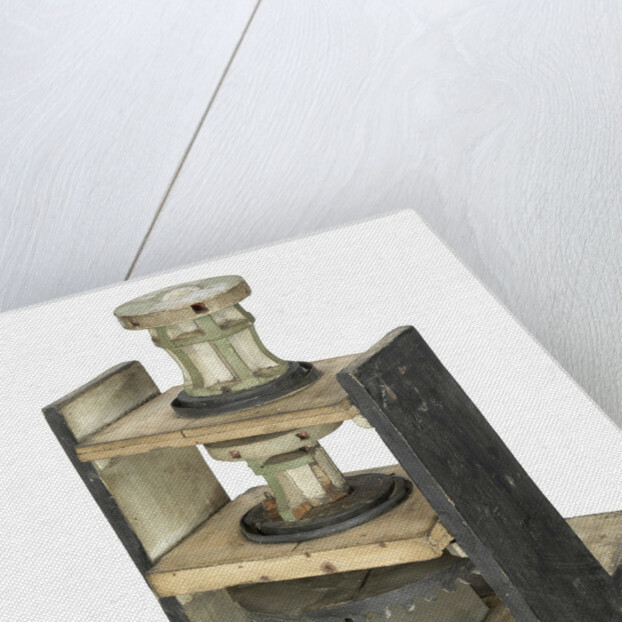 The capstans are painted pale green and white and the top surface of the upper capstan is divided into four quadrants painted green and white. More by the artist M. Blanks.